The question for today is, "How much government is too much government?" What brings this particular question to mind is one of the agenda items addressed by the Costa Mesa City Council in their study session on Tuesday, August 12, 2007. That item was entitled, "Standardized Plans For Freedom Homes Room Additions", which can be read in it's entirety here. According to the staff report, this item was requested by Mayor Pro Tem Eric Bever, a man known for the occasional odd flight of fancy. This appears to be yet another one of them. The first paragraph of the staff report states, "Pursuant to the Mayor Pro Tem's request, staff prepared a Request for Proposals (RFP) to create standardized plans for the most popular building additions to the Freedom Homes. The purpose of the standardized plans is to create a valuable resource for homeowners by providing basic design drawings that, homeowners may use or customize to suit their needs. In doing so, homeowners could reduce time and cost associated with planning/building room additions to their Freedom Home." Further on, in the text of the Request for Proposals, under Scope of Work, the following statement is made, "The plans do not need to be structurally engineered, but should consider the zoning and structural issues relative to a typical existing property." The RFP goes on to describe three distinct types of projects to be considered and provides specific guidance to the bidders as to what is expected as a work product. The staff estimates the cost of this project to be $10,000 - $15,000. It seems to me that this is micro-managing of the worst kind. Why in the world should the city be involved developing specific plans for specific homes in a specific section of town? It's clear from reading the staff report that the plans anticipated will not be adequate for the homeowner to circumvent the need to hire an architect to create appropriately engineered plans for city approval. Basically, what will be produced under this plan is a set of architectural renderings - very much like the one shown at the top of my previous post about Triangle Square. Yes, the Freedom Homes are, for the most part, cookie cutter homes - all have similar floor plans, or did when first built. They are fairly typical of homes built following World War II throughout Southern California. They were intended to provide affordable housing for our returning warriors and their families, where emphasis was placed on providing basic shelter and lots of space outside to play. Times have changed and the emphasis a half century later is to larger homes with smaller outside areas. Now the only exercise many kids get today is on their thumbs as they text message back and forth. It seems unlikely to me that any Freedom Home homeowners intent on performing a major remodel of their homes would choose to perpetuate the cookie cutter approach by utilizing a government sponsored "look". If they wanted that they could have moved to Irvine, for goodness sake. If this is a good idea for the Freedom Homes, what about College Park or Mesa del Mar? Do we really want our government to design our homes for us? I think not! There are already plenty of constraints on homeowners who wish to remodel or rebuild in our city. City government should not be in the business of designing home remodels. I think this pipe dream steps way beyond the boundary of government intrusion and is a waste of government funds. For such a proposal to come from a man who touts himself as a "conservative" is astonishing. Quite honestly, it sure looks like Bever is pandering to his core constituency in that section of town in anticipation of a re-election campaign next year. Many folks in his "improver" base live in that neck of the woods. I guess I shouldn't be surprised at such a blatant move - such poor judgment is typical of Bever and displays yet another reason he shouldn't be re-elected. Where is Greenhut and other conservatives on this. If this was Irvine they would be all over this like flies on crap. But because their "baby Jesus" Mansoor is in on this, they give Bever a free pass. When choosing to remodel their homes, I would think people would want a little more 'freedom of choice.' I suggest MPT Bever listen to the 80s Devo song of the same name to get a clue ("Say it again, in the land of the free, use your freedom of choice!"). I bet that's the first Devo reference on your blog, Geoff. Gotta keep it fresh for us youngsters! Yet another example of a so-called conservative leader opting for more government. Mike, you can be sure that your is, indeed, the very first reference to Devo on my blog! I'm afraid I'm as out of touch with your music as you probably our with mine - and your folks! Your final sentence is right on the money, sadly. My family and I rented a Freedom Home in the early 70's. I recently drove down my old street and saw a remodel that came straight out of StarTrek...wild pink and green colors, super-modern, angular facade--not at all pleasing to my eyes. The home stood out like a realllllly sore thumb! Maybe "guidelines" for remodels could be developed by the local homeowners' association and not by the City Gov't??? My understanding is that this approach would save the homeowners some costs such as that of an architect. If they just wanted to add some square footage like an extra bedroom or a den and they didn't want to get fancy, they could use these standardized plans and save money. It would also save the city some effort in that once the planners approved it once, recurring applications would sail right through. Nothing in the proposal (and it still is just a proposal) says you have to use a standardized plan or that the city is forcing anything on anyone. 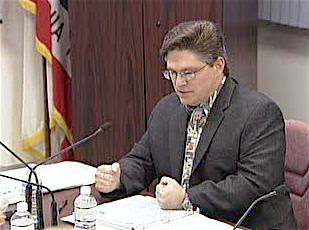 It seems logical and it is the kind of leadership Costa Mesa needs on the council. Eric, your understanding is very different than mine. Based on the presentation in the staff report, the RFP is only for what amounts to architectural renderings, not anything close to those plans required for someone to proceed with a project. They are conceptual, not construction-grade. Anyone wishing to use the ideas presented by these drawings would still be required to obtain the services of an architect to produce the appropriate plans. It won't save the city any effort at all, since any and all plans must go through the approval process, regardless who generated them. I know there is nothing in the plans that "forces" a homeowner to use the plans. My point is that this is an inappropriate role for government to play and an inappropriate use of city funds. I know Bever is "your guy", so I don't expect you to agree with me. You view this activity as "leadership". I see it as intrusive, unnecessary and another flaky idea by him. Triangle Square Resurrected - Again? Reprise of "Resolve To Share Your Love"
Affordable Housing - Yeah, Right!